This beautiful cocktail table adds traditional design to your living room setting. 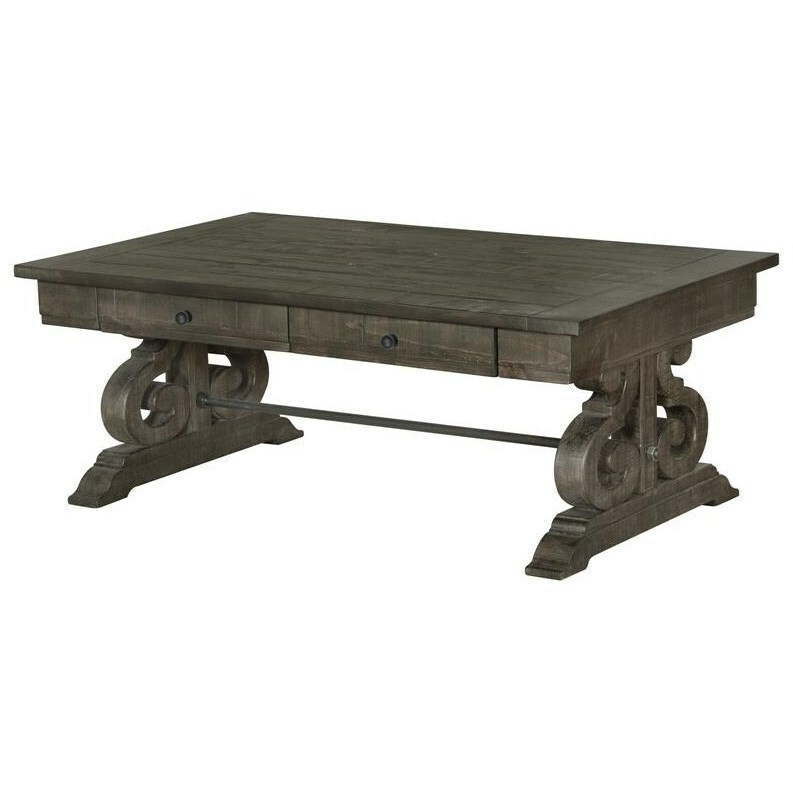 Featuring a double pedestal base with carved S-curved bases, the table features two drawers for exceptional accommodating. Completed with a deep weathered pine finish, this table fuses traditional and rustic elements that culminate in old world style. The Bellamy Rectangular Cocktail Table with Two Drawers by Magnussen Home at Miskelly Furniture in the Jackson, Pearl, Madison, Ridgeland, Flowood Mississippi area. Product availability may vary. Contact us for the most current availability on this product.